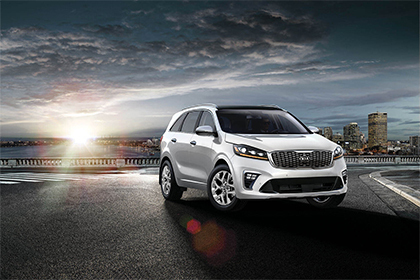 At London's Airport Kia, our highly qualified technicians are here to provide exceptional service in a timely manner. From oil changes to transmission replacements, we are dedicated to maintaining top tier customer service, for both new and pre-owned car buyers! Allow our staff to demonstrate our commitment to excellence. London Airport KIA knows how crucial your vehicle is to your accustomed way of life. That's why we fully back our outstanding, timesaving auto maintenance and repair at honest charges for our customers in Sarnia and surrounding areas. Our highly skilled, certified repair and service technicians are supplied with the best leading-edge technology, information, and diagnostics available. We use only the highest quality tools and parts. Our priority is consistent, exceptional service to get you immediately back in the game. To keep your vehicle running smoothly, we encourage you to calendar regular oil changes and check-ups at Kia Service & Parts. Set an appointment online now or call 888-481-1540 to request more information. Don't miss this opportunity. We guarantee our commitment to excellence!